AMSOIL Arenacross, featuring Ricky Carmichael’s Road to Supercross, began the second of the final four rounds of the season-ending Race to the Championship on Friday night inside Tingley Coliseum in Albuquerque, N.M. Defending Arenacross Class Champion Tyler Bowers relied on the championship bonus point awarded in Head-to-Head Bracket Racing to secure his seventh overall victory aboard his Babbitt’s Monster Energy/AMSOIL Kawasaki presented by Maxxis machine. In the Western Regional Arenacross Lites Class, Team Faith/FLY Racing KTM’s Kelly Smith led every lap of the Main Event to capture his second straight win. Motosport.com/MJM Express/Spinechillers Racing Kawasaki’s Michael McDade assumed the early lead in the first 15-lap Arenacross Class Main Event, with Babbitt’s Monster Energy/AMSOIL Kawasaki’s Tyler Bowers in second, PBR/TiLube/TUF Racing Honda’s Jacob Hayes close behind, and Babbitt’s Monster Energy/AMSOIL Kawasaki’s Zach Ames, the championship leader, in fourth. Bowers surged into the lead on Lap 1, bringing Hayes with him into second and dropping McDade to third. The following lap, Ames passed McDade to take over third. Bowers and Hayes stayed mere bike lengths apart for many laps until Hayes was able to make a move for the lead on Lap 12 and make the pass stick. He fended off Bowers over the final couple laps for the win, with Ames not far behind in third. Hayes selected the inversion for the second Main Event, picking eight, meaning half the field would be inverted. Motosport.com/MJM Express/Spinechillers Racing KTM’s Willy Browning took advantage of his prime starting spot for the second Main Event to grab the lead, edging out McDade and Bowers. Ames emerged in sixth, with Hayes in seventh. On the opening lap, Bowers moved into second and set his sights on Browning up front. Hayes made his way past Ames for fifth on Lap 2 and then began a charge to the front, eventually making his way into the top three on Lap 4. A short time later on Lap 8, Bowers made his move on Browning for the lead and Hayes followed just one lap later. Hayes pressured Bowers for the lead over the final handful of laps but was unable to make the move. Browning held on for third. Ames finished fifth. With identical Main Event finishes, Bowers (2-1) and Hayes (1-2) tied for the overall but thanks to his victorious effort in Head-to-Head Bracket Racing earlier in the evening, Bowers earned an extra bonus point to move him into sole possession of first. Ames grabbed the final spot on the podium in third (3-5) to maintain his lead in the Race to the Championship. Ames’ lead in the Race to the Championship sits at six points over Bowers, who moved from fifth to second. Hayes sits 13 points back in third, moving up from ninth. Smith began his dominant outing in the Western Regional Arenacross Lites Class Championship Main Event by grabbing the early lead with KMS KTM’s Dave Ginolfi and Frontier Lubricants KTM’s Daniel Blair in tow. On the opening lap, BWRengines.com Honda’s Maxx Malatia moved past Blair for third and the top three established themselves up front. Smith consistently pulled away for his second straight wire-to-wire victory, leading all 18 laps and crossing the checkered flag nearly seven seconds ahead of Ginolfi. Malatia rounded out the podium in third to duplicate the top three finishers from the previous round. BWRengines.com Honda’s Kyle White leads the Western Regional standings by five points over AJ Oilfield Services Kawasaki’s Gray Davenport. The action from Albuquerque continues tomorrow for Night Two inside Tingley Coliseum. Racing begins at 7 p.m. MT. AMSOIL Arenacross, featuring Ricky Carmichael’s Road to Supercross, hosted its final night of action inside Tingley Coliseum, in Albuquerque, N.M., on Saturday night to conclude the second round of the season-ending Race to the Championship. After narrowly taking the Arenacross Class victory on Friday night, Babbitt’s Monster Energy/AMSOIL Kawasaki presented by Maxxis rider Tyler Bowers made it a sweep in Albuquerque with a more convincing effort on Night Two. In the Western Regional Arenacross Lites Class, Team Faith/FLY Racing KTM’s Kelly Smith once again led every lap of the Main Event en route to a dominant third consecutive victory. Bowers moved into the early lead to start the first 15-lap Arenacross Class Main Event, with PBR/TiLube/TUF Racing Honda’s Jacob Hayes in second and his Babbitt’s Monster Energy/AMSOIL Kawasaki teammate Zach Ames in third. Bowers set a torrid pace over the first few laps to establish a multi-second lead over his rivals. Behind him, Hayes and Ames engaged in a battle for second with Ames ultimately making the pass on Lap 3. From there, the three riders broke away from the field and maintained their positions. Bowers finished just over two seconds ahead of Ames, with Hayes in third. Bowers selected the inversion for the second Main Event, picking 16 and inverting the entire field. Motosport.com/MJM Express/Spinechillers Racing Kawasaki’s Michael McDade took advantage of the inversion to grab the early lead in the second Main Event, followed by Team Faith/FLY Racing KTM’s Cheyenne Harmon and TZR/Woodstock KTM’s Travis Sewell in second and third. Hayes emerged with the best start of the podium finishers from the first Main Event in sixth, while Bowers followed in ninth and Ames in 10th. It didn’t take long for Hayes to make his way up front, moving into third place by Lap 3 and eventually into the lead on Lap 6. As he made his upward progression, so did Bowers, breaking into the top five on Lap 5, into podium position on Lap 6, and then behind Hayes in second on Lap 8. Despite his best efforts, Bowers couldn’t track down his rival. Hayes took the Main Event win by a narrow margin over Bowers, while McDade held on to finish third. Ames worked his way through the field to finish fifth. Bowers’ 1-2 finishes were better than Hayes’ 3-1 results, giving him the overall by just two points. Ames duplicated the overall podium from Friday night in third (2-5) and maintained his lead in the Race to the Championship. Earlier in the evening, Ames defeated Bowers in Head-to-Head Bracket Racing to give him an additional championship bonus point. By virtue of Bowers’ win, Ames’ lead in the Race to the Championship has been trimmed to just three points. Hayes maintains control of third, 11 points out of the lead. Just two rounds and three nights of racing remain in the Race to the Championship. Smith’s continued dominance in the Western Regional Arenacross Lites Class Championship began by capturing the early lead in the Main Event, followed by AJ Oilfield Services Kawasaki’s Gray Davenport in second and KMS KTM’s Dave Ginolfi in third. The trio paced the front of the field for the first 14 laps of the 18-lap Main Event until Ginolfi bobbled and allowed BWRengines.com Honda’s Maxx Malatia to take advantage and move into podium position. Out front, Smith comfortably took the checkered flag over five seconds ahead of Davenport while Malatia held on for third. BWRengines.com Honda’s Kyle White, who finished fourth, continues to lead the Western Regional standings by just three points over Davenport. Malatia sits just six points back in third with three races remaining. The AMSOIL Arenacross season continues next weekend with its inaugural visit to Hidalgo, Texas. Two nights of action inside State Farm Arena commences on Friday, March 14th, and continues on Saturday, March 15th. Both nights of action begin at 8 p.m. ET. For more information on the 2014 AMSOIL Arenacross season, and to purchase tickets, log on to www.Arenacross.com. For all media requests, please contact Brandon Short brandon@nextlevelsportsinc.com or 949-365-5750. Never miss out on the latest news! For more information on AMSOIL Arenacross, please log on to www.Arenacross.com. To follow AMSOIL Arenacross on Facebook, Twitter and Instagram, log on to www.facebook.com/AMAarenacross, www.twitter.com/Arenacross and www.instagram.com/Arenacross. Subscribe to our YouTube Channel at www.youtube.com/ArenacrossLive. 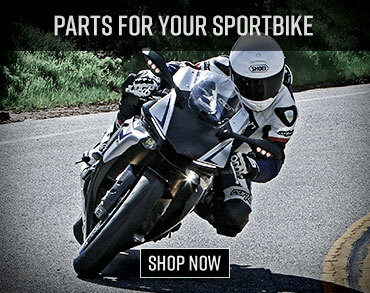 AMSOIL® manufactures premium synthetic lubricants for all automotive, diesel and power sports applications. AMSOIL is formulated specifically for equipment life, maximum power and optimal all-weather performance and have been tested and proven for over 40 years and billions of miles of service. For more information on AMSOIL, visit www.amsoil.com or www.amsoilracing.com. Since 1924, the AMA has protected the future of motorcycling and promoted the motorcycle lifestyle. AMA members come from all walks of life, and they navigate many different routes on their journey to the same destination: freedom on two wheels. As the world’s largest motorcycling rights organization, through member clubs, promoters and partners, the AMA sanctions more motorsports competition and motorcycle recreational events than any other organization in the world. AMA advocates for motorcyclists’ interests in the halls of local, state and federal government, the committees of international governing organizations, and the court of public opinion. 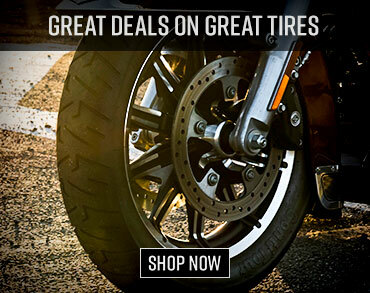 AMA members receive money-saving discounts from dozens of well-known suppliers of motorcycle services, gear and apparel, bike rental, transport, hotel stays and more. Through the AMA Motorcycle Hall of Fame, the AMA honors the heroes and the heritage of motorcycling for future generations. 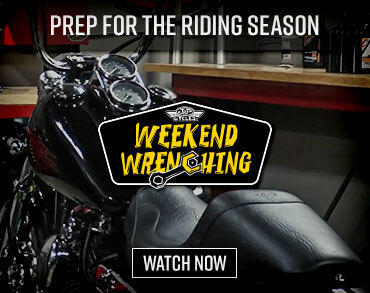 For more information, please visit www.americanmotorcyclist.com.